Transforms to super saiyan. 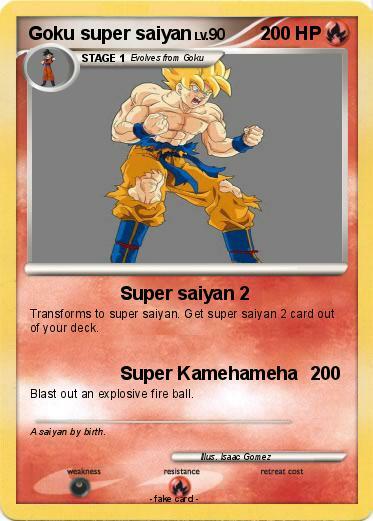 Get super saiyan 2 card out of your deck. Blast out an explosive fire ball. Comments : A saiyan by birth.